Oct 27, 2014 @ 09:00 AM — by Sharon B. Mateja, D.D.S. 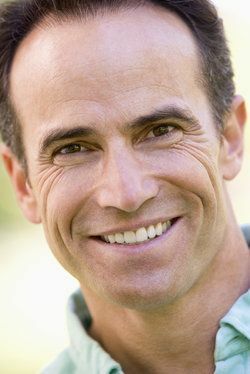 Advances in restorative dentistry have provided modern dental patients with a number of attractive alternatives to traditional fillings, including ceramic inlays and onlays. At the cosmetic and restorative dentistry practice of Sharon B. Mateja, DDS in Rancho Cucamonga, inlays and onlays - also known as indirect fillings - are custom crafted from the finest materials to ensure the best possible results in terms of aesthetics, functionality, and durability. Patients emerge from treatment with teeth that are structurally whole and intact and smiles that are as vibrant and natural looking as they are healthy. Inlays and onlays perform similar functions as dental restorations. They are both used to replace the missing structure of a damaged tooth and make the tooth appear whole again. Because the ceramic used in inlays and onlays can be colored to match the precise color of the surrounding natural tooth material, the restorations blend seamlessly into the smile and are virtually indistinguishable to the naked eye. The primary difference between inlays and onlays lies in the type of damage each is used to treat. The top surfaces of your teeth contain small elevations called cusps. Depending on the type of tooth, each may contain anywhere from one to five cusps. If one of your teeth sustains damage within these cusps, but that damage does not extend to the cusps themselves, then it is treated with an inlay. Once the damaged portion of the tooth has been removed, Dr. Mateja creates an impression of the treated tooth. This impression is then used to craft an inlay from the finest ceramic material. The inlay is unique in that it is created with remarkable precision to fit exactly into the space left vacant within the cusps of the damaged tooth. Once the tooth has been cleaned and prepared, this tiny, precise restoration is bonded into place, and the tooth will once again be whole. Onlays are exactly the same as inlays in terms of how they are created and the function they serve. However, onlays are used when the damage to a tooth extends to one or more of that tooth’s cusps. Therefore, an onlay will cover at least part, and often most, of the top surface area of a tooth. If the damage to a tooth is too extensive for the tooth to support an onlay, then Dr. Mateja will suggest a dental crown as an alternative. Dental crowns offer the same aesthetic and functional benefits as inlays and onlays; however, they are crafted to cover the entire visible surface area of a tooth, reinforcing it from the gum line upward. Dental crowns may also be more appropriate if the remaining structure of a treated tooth is weakened or at risk of cracking or breaking. As with all treatments she provides to her patients, Dr. Mateja invests tremendous care and meticulous attention to detail into her inlays and onlays. For further information about these dental restorations, or to schedule your initial consultation with Dr. Mateja, please contact our cosmetic and restorative dentistry practice today.